Photos of food – Slimming World friendly food obviously! Sunday night was curry night in our house! My wife prepared the Chicken Tikka Masala recipe from the Fakeaway book, together with the Bombay Bhajis that I cooked a few weeks ago for the Taster Night. 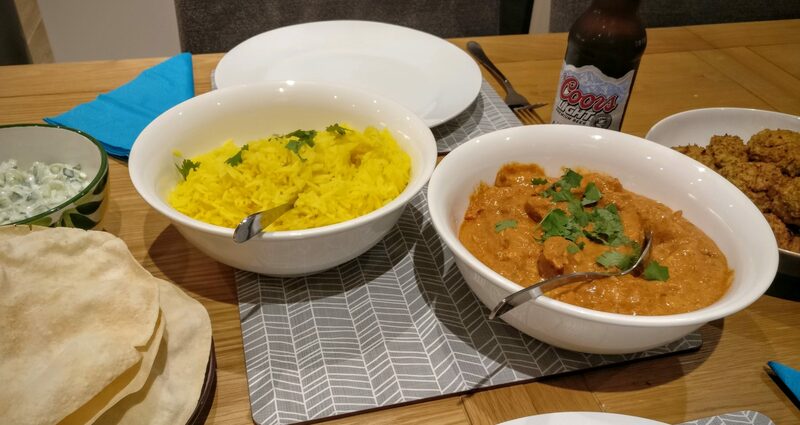 Add in some microwaved poppadoms (1½ syns each) and a bottle of Coors Light (5 syns) and you’ve pretty much got the perfect Indian banquet!